Over time, your face changes in many ways. Some of the changes you may see include volume loss in the cheek area, deepening lines around the nose and mouth, and thinning lips. Some women have naturally thin lips and may simply desire more fullness. Fortunately, the products in the Juvéderm Collection of Fillers at Hedden Plastic Surgery can help with instant and long-lasting results. 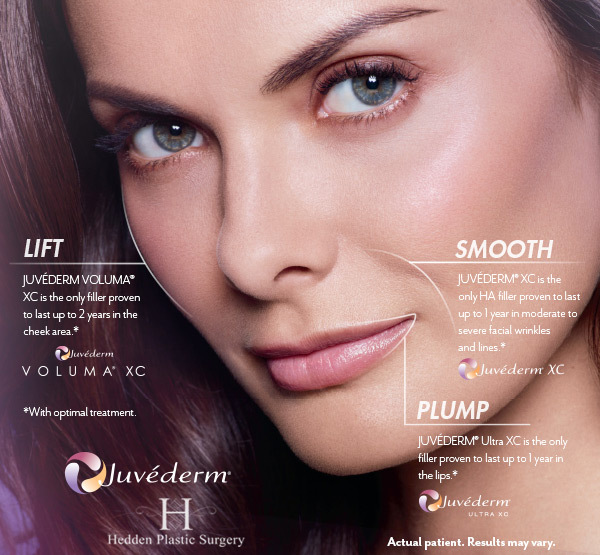 For natural-looking results that last, look no further than Juvéderm, the No. 1 selling collection of hyaluronic acid fillers in the United States. Juvéderm products add volume to vital areas of your face to lift the cheeks, smooth parentheses lines and plump the lips. Call 205-980-1744 today to make your appointment for facial rejuvenation at Hedden Plastic Surgery in Birmingham, Alabama.